Hello folks, are you guys curious to see the background animation/effects inside the text itself? Then this demo is for you. 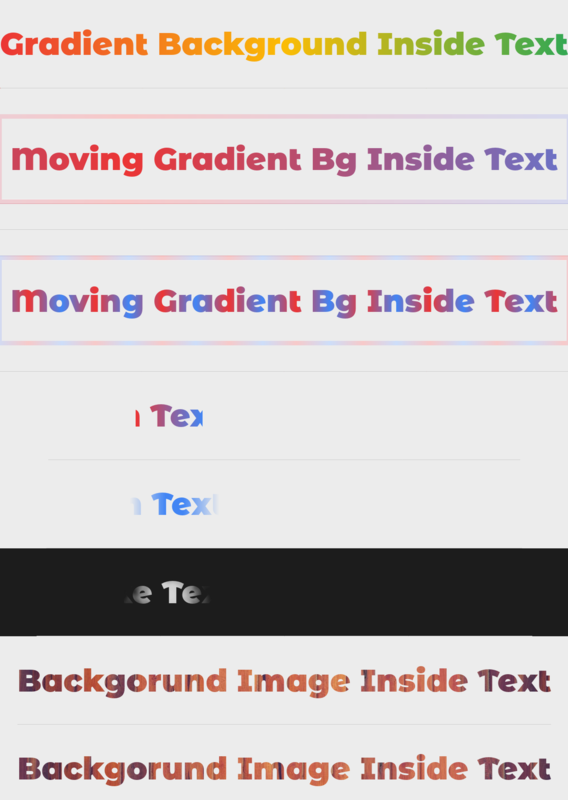 The demo will show you the different animations/effects with background and gradient using the CSS background clip property inside the text. **The demo is using advanced CSS properties. Only latest browsers which supports the CSS background-clip property will support this demo. Hope you guys enjoyed the demo. Feel free to modify the code according to your need.